How incredibly sweet, Joan, thank you so much! I don't need to ask what chocolate cake recipe you used, do I? Clotilde... people love that cake!!!!! 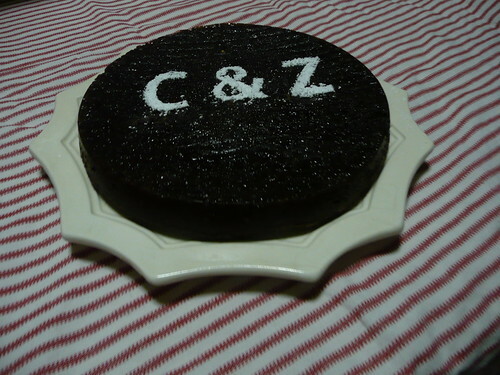 Once again..congratulations...it's a wondrous story...this chocolate&zucchini! And...Madame...so lovely to see you here again. As always, you are far too clever for the rest of us. For old times' sake...best to you and yours as well!